You definitely can’t accuse iconic pram designers phil&teds of resting on their laurels. The Voyager has recently been released and if they haven’t thought of everything than it has gone pretty darn close. Easy to push. Check. Light and smooth over kerbs. Check. Slimline. Check. Compact fold. Check. Big seats. Check. The most exciting feature of the Voyager, however, is the seats. Not only are they large and roomy (a must with my oversized boys), they have come up with a brilliant four-in-one modular system that can adapt and grow with your family. 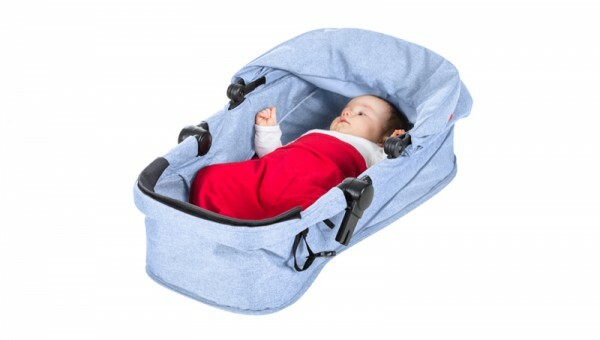 The Voyager starts its life as a bassinet where it can be used on or off the buggy. As soon as your child is ready, the bassinet cleverly – and easily – sits up into a seat where it can be switched to face you or the path ahead. Better yet, the double kit (available to purchase separately) is just as adaptable! That’s right, the second seat is an afterthought no longer, the Voyager is a complete sibling or twin ready solution. As a charcoal marl fan from way back, I love the fashionable and functional colour options on the Voyager. Charcoal marl, blue marl, red or black are your choices of waterproof, wipe clean fabric. 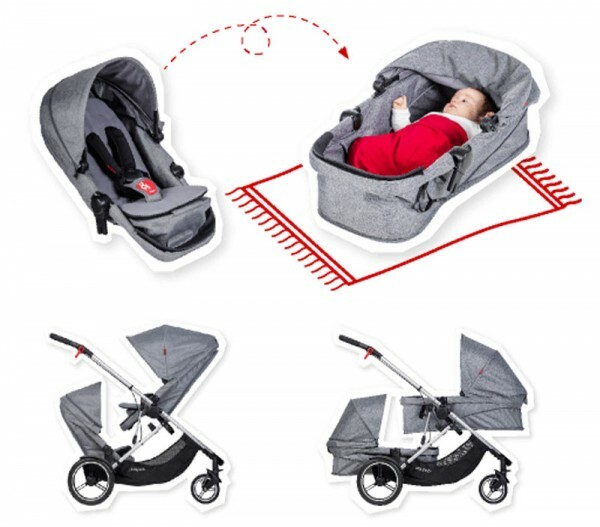 This stylish inline stroller comes with aeromaxx puncture-free wheels, a hand-operated parking brake for ease of use, a roomy parcel tray underneath, generous sun hood that can be adjusted to follow the sun and a revolutionary stand fold that can be done with both seats fitted, facing either direction. In true phil&teds style, there are also numerous accessories available for purchase including sun and storm covers, cup holders, car seat adaptors and more. If you are pregnant and on the hunt for the perfect stroller or just looking to upgrade, this could just be a divine appointment. 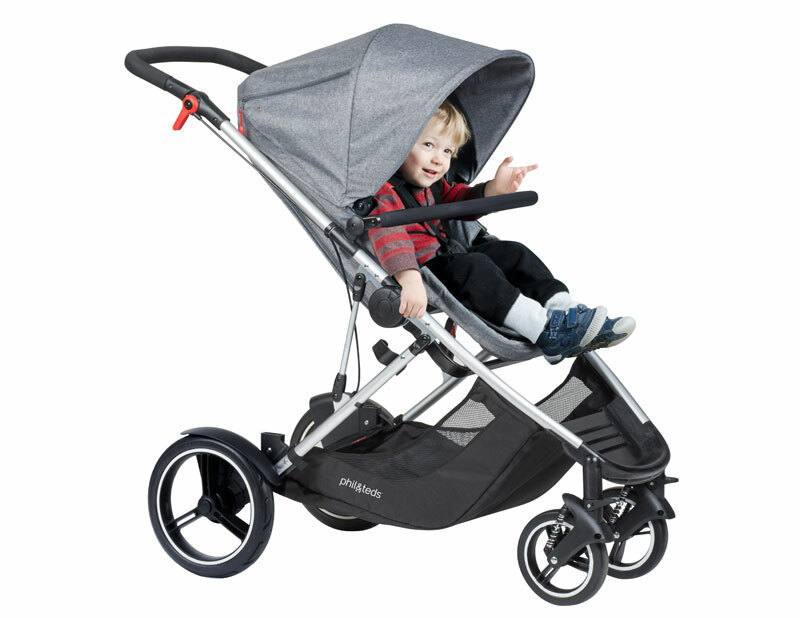 Priced at $999, you can purchase the Voyager from the phil&teds website or from your local pram stockist.